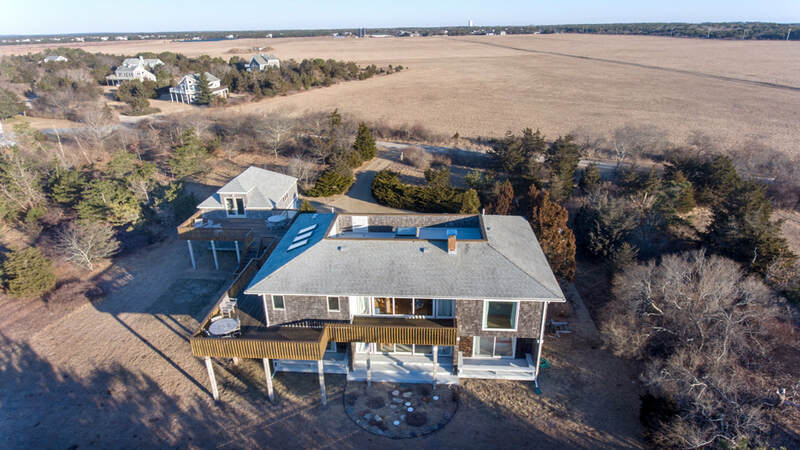 With views of the Atlantic Ocean on two sides and the Katama plains Farm Institute on another, this four-bedroom contemporary home offers the best of Katama. 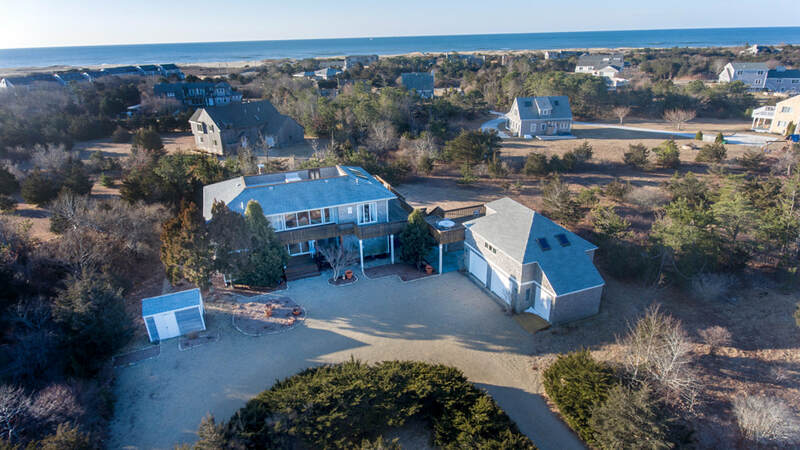 ​ Designed to take advantage of its surroundings, the floor plan features living spaces and the master bedroom on the second floor with guest rooms on the first floor. 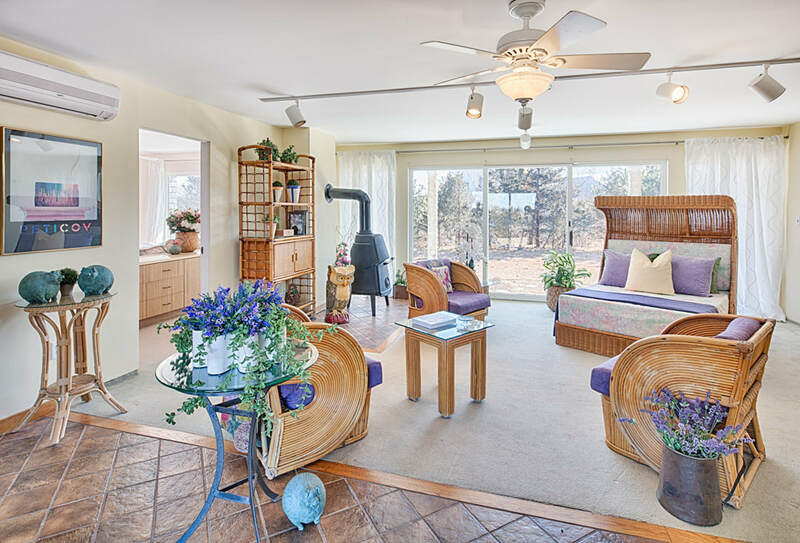 A circular drive leads to the front deck with sliders opening to a family room with a wood stove and sliders to the back herb garden. On either side are three bedrooms, two with access to their own porches, two full baths and a laundry room. 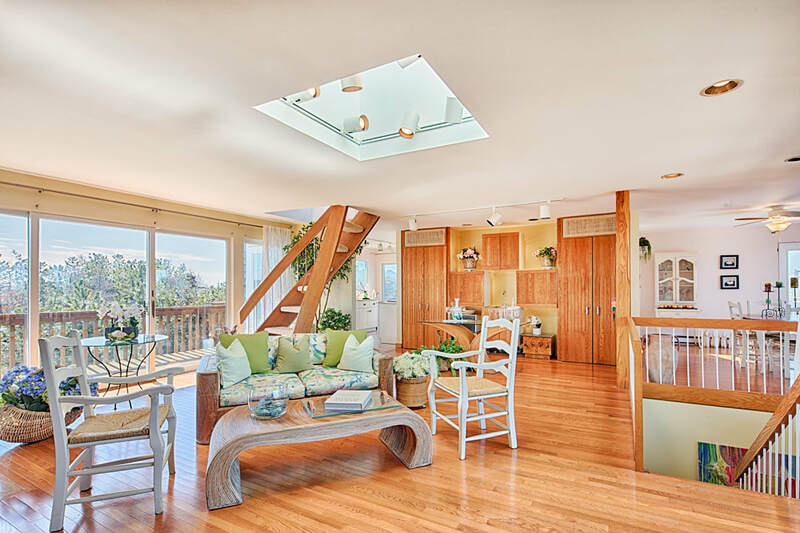 The second floor open great room offers Katama plains and water views from the interior and the wraparound decks. 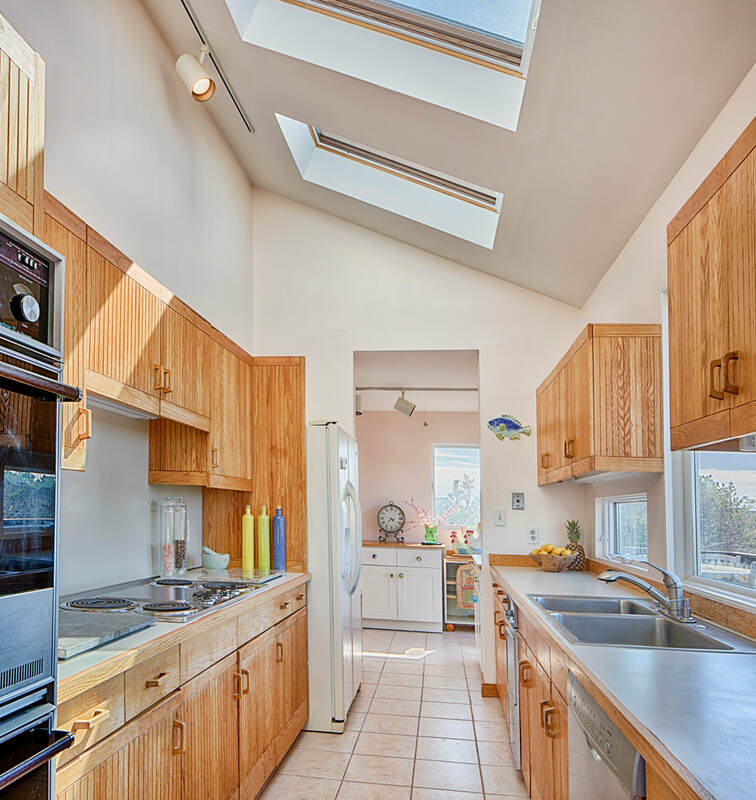 Sunlight bathes the room with natural light from a large skylight. The room has a wet bar, a built-in entertainment console and another wood stove that makes it a perfect gathering place for people to meet and embrace the views. A spacious kitchen, pantry, dining room and half bath welcome entertainment and parties can spill out onto the large deck. 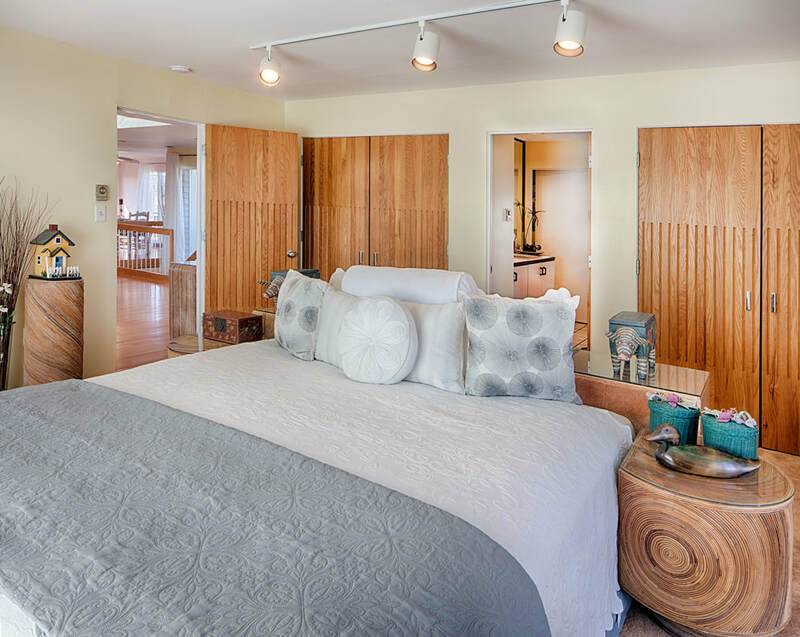 The master bedroom features an en suite bath with a double sink and soaking tub and private access to the deck. Winding stairs lead to a rooftop deck with a wet bar and 360-degree-views over Katama. The second floor deck connects with the top floor of the two-car garage now used for storage. New owners could create a private guest suite here by converting a first floor bedroom in the main house to a study. With more than one and one-half acres of land, the property may accommodate a swimming pool or tennis court. It’s a wonderful summer sanctuary where several generations can enjoy shared activities but also retreat to private areas. Electric heat and wood stoves make the home welcoming in any season. Katama is a neighborhood brimming with activity. 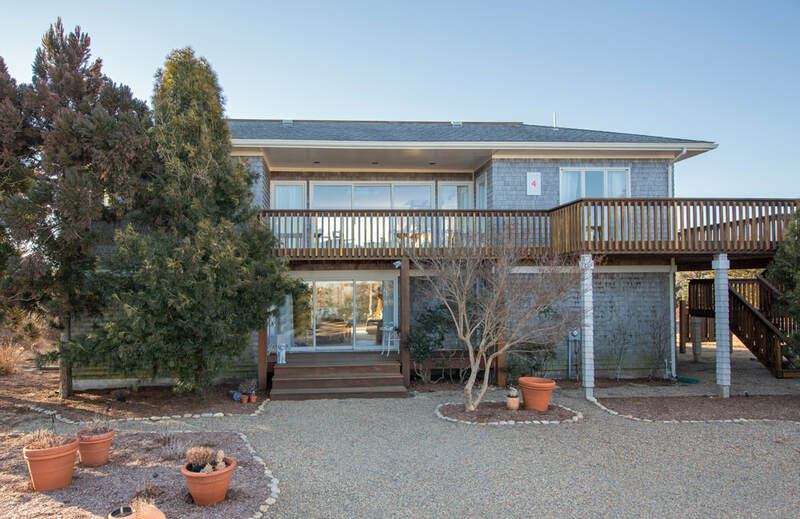 There are miles of pristine beach, the town pier for fishing and boating, over-sand adventures at Norton Point, the bike path and the Winnetu Resort’s restaurant all minutes away. Adjacent to the home is the Farm Institute, which in 2016 became part of the Trustees of Reservations and continues to offer year-round educational programs. In the early 1940s two tracts of land were combined to create the 186-acre Katama Farm, which in the past was used for raising sheep and cows, corn, potatoes and hay. Walking trails and a seasonal farm stand are two more reasons the farm is a great neighbor. And all the shops and restaurants in Edgartown village are only a short distance away by car, bus or bike.